In this FREE 30-minute Practice Management Nugget Webinar for Your Healthcare Practice with Monique Caissie, you will learn How to Effectively De-escalate an Angry Patient. Have you ever been challenged by a patient who is demanding and disruptive and rude? We have all been there. Monique will help us with tips, scripts and strategies to help you manage these difficult situations with empathy and assertiveness. Invite your staff, colleagues and co-workers to join in the discussion, too! Communicate Strategically with Difficult People…even if they drive you CRAZY! I am a recovering doormat. Over the last 30 years, whenever I learned one of the secrets of confident communication, I couldn’t wait to share it with others struggling with challenging relationships. As a former crisis interventionist, counsellor and educator, I have impacted thousands of people to have better conversations with others who drive them CRAZY! hosted by Jean L. Eaton of Information Managers Ltd.
Our weekly interviews are a hit with practice managers and healthcare providers! We’ve made it easier for you to attend. Or, attend our next Practice Management Nugget event for free here. Tip: Put this link in your calendar for Thursdays at 12 noon MDT. Then click it a few minutes before we begin and it will take you directly to the webinar. “Not my problem” escalates anger. Do this instead! Monique Caissie is my guest on this week's Practice Management Nugget Webinar for Your Healthcare Practice. Read Monique's article below and then join us for the Free Webinar on Thursday July 21. As we patiently wait for the admin assistant to call our number at the clinic, a man at the desk is asking her what’s taking so long for the doctor to see him and that he has to get back to the office. He wants to know how much longer. She abruptly says they don’t give times. He asks how many people are ahead of him. Instead of answering, the girl dismissively points to the sign next to her desk and goes in the back where the files are. The sign reads “Aggressive behaviours will not be tolerated”. Clearly, she over-reacted to his questions. Her dinosaur brain came on and she went into Fight/Flight instead of using her thinking brain. Frustrated, the man sits back down swearing under his breath. Understandably, he seems angrier than when he approached the desk. In fact, the mood of the whole waiting room is not pleasant. Honestly, I suspect that anyone who witnessed this will approach the desk prepared to be even more assertive. Situations are exacerbated when we don’t try to de-escalate someone’s anger. De-escalating a situation is the best antidote to anger. Here’s a sample of what the girl could have done instead. She could have responded with regret and politely given the information that she had no control over the wait. She could have admitted that she would feel frustrated in his shoes. She could ask him if he needs to reschedule or will he be able to wait until they catch up to him in the queue. These may not solve his problem. In fact, depending on his personality or circumstances, he could be just as frustrated. This way, she gives him the opportunity to feel respected and heard. As it stood, the tension of the waiting room had increased. I would be calling that customer service response “career limiting behaviours”. As stressful as an angry client might feel, we must not take their frustration personally. In fact, dealing with angry clients happens in every industry and at every level of the organization. Whether we are the receptionist at the front or the CEO, it is always part of our job to keep our cool and turn on our problem solving skills. The first rule is that we must do our best to approach them with curiosity. You are now the diagnostician. Let them know you want to help if you can. Becoming defensive or dismissive will only serve to pour gas on the fire so look for solutions and check your ego at that door. It’s only logical. Have you ever seen a two year old in the middle of a tantrum? The good parent is curious, patient and does not get angry back. After all, they are more mature than a two year old. Effective parents are trying to understand and guide the child’s behaviours to more acceptable ones. The less effective parent will yell back or they will ignore and not redirect the behaviour. Good communicators make the effort. Would you like an opportunity to ask a few questions about this? Applying effective communications strategies may be easier than you think. I hope you will join us on the webinar where we will cover the 6 tips for an angry person. I am being interviewed by Jean L Eaton of Information Managers Thursday, July 21st. Check out the webinar and you can ask questions during the webinar. AACMConference – Are you going? Jean will be presenting at the Alberta Association of Clinic Managers Annual Conference on Wednesday September 17, 2014 in Canmore. Use a Pro-active Privacy approach to build privacy into your daily practice management. What has changed in the privacy environment? How can you update your current practices? How to assess risks and benefits for new business practices (like social media)? Coast Canmore Hotel and Conference Center. See more information on AACM Membership and the Conference. Let your colleagues know that you plan to attend this event! Tweet this! If so, you know the importance of this sensitive information. Healthcare providers must ensure that every staff member understands their individual responsibility when it comes to handling personal information. Jean gives you the skills and confidence to handle the elephant in the room! Jean’s information privacy workshops are ideal for staff members at all levels in any organization or clinic that collects, uses or discloses personally identifying information. This includes direct care providers such as physicians, allied health professionals and associates, privacy officers, as well as other employees and support staff who are not directly involved in patient care. Choose from these two popular workshops, or request a customized presentation. Improve your patient satisfaction and prevent malicious errors, omissions or attacks that could result in fines and even jail time for the business, healthcare provider, employee, or vendor. This is a critical workshop for everyone in the health care industry. Jean will engage your people in a fun and practical way to teach the key principles of privacy awareness. Through the use of every day scenarios and group discussion, new and experienced healthcare providers and support staff will learn the essentials of privacy, confidentiality, and security. Patient and client rights with respect to their personal information. Key components of privacy legislation. Safeguards that protect personal health information. Recognize and report a privacy breach. Privacy incidents happen! 60% of small and medium business owners go out of business within 6 months after a privacy and security breach. Patients, clients, employees and business partners trust you to keep their private and sensitive information confidential and secure. Properly managing a privacy breach is critical to the continued success of your business. With Jean’s expert guidance, you will learn the critical skills of planning for and responding to privacy incidents, handling them with confidence while mitigating the risks. 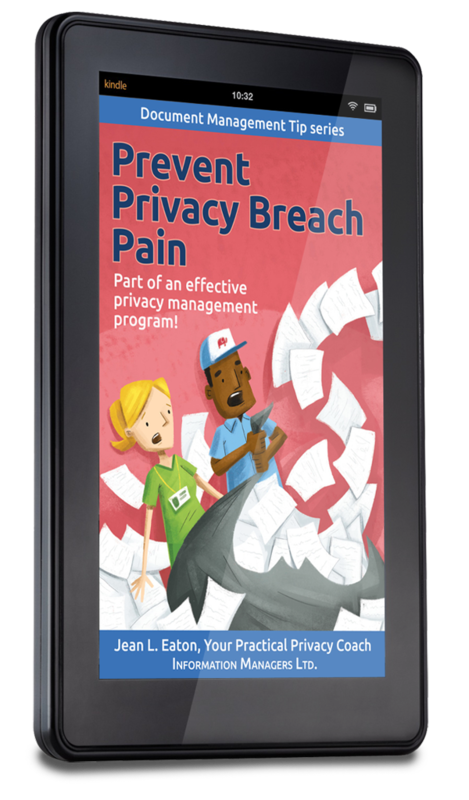 Based on her new book, Prevent Privacy Breach Pain, Jean will guide you through the practical “4 Step Response Plan” to help you develop a privacy breach management response plan for your organization. Notify affected individuals and other stakeholders. Prevent the breach from happening again. Jean is a recognized and respected leader and expert in health information management, privacy management and legislation. An engaging workshop leader, she provides solutions that are practical and effective for today’s healthcare providers. Jean is passionate about supporting primary care practices to implement privacy by design and best practices to protect privacy, confidentiality, security of personal information. Jean has helped hundreds of physicians, chiropractors, pharmacists, and other healthcare providers and privacy officers across Canada and the US develop and improve their Privacy Education programs. With over twenty years of experience, she has the knowledge and tools to help any healthcare provider or business improve their information privacy practices. Book Jean for your next event and see the difference that privacy awareness can make! A 60-90 second promotional video encouraging early registration with key sponsor mention. A 30-minute preview marketing webinar on a related topic to pitch early registration with key sponsor billing. Advance interviews of organization members to customize the workshop. A special sponsor ‘lunch & learn’ seminar event. You may have seen Jean here . . . .
Or at an in-service in a healthcare practice! “Prevent Privacy Breach Pain” Coming soon on Amazon Kindle! Jean is constructively obsessive about privacy, confidentiality, and security when it comes to the handling of personal information, particularly in primary health care settings. 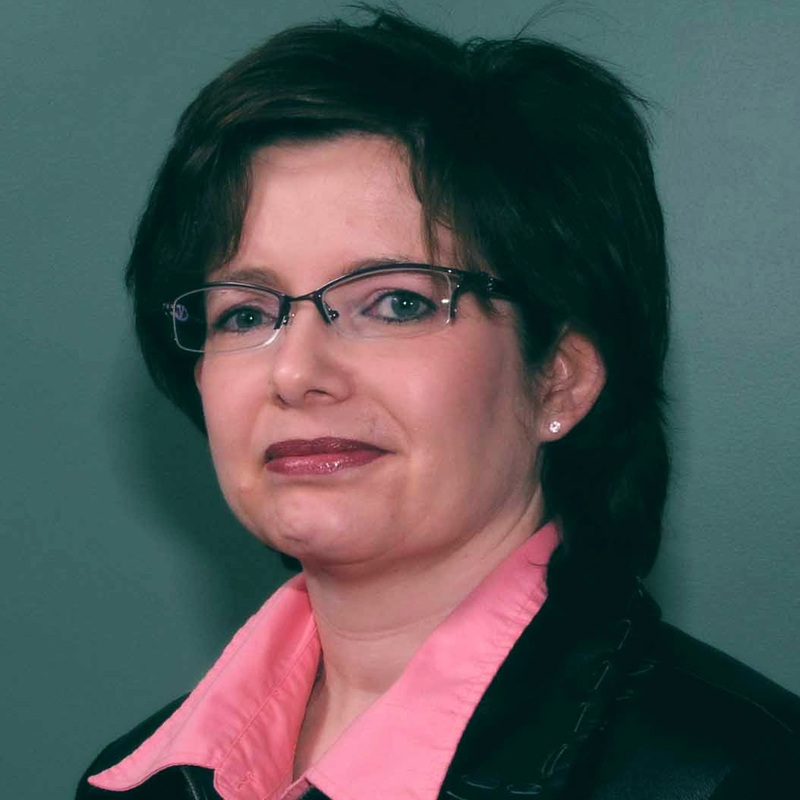 Jean has customized and delivered privacy training programs for privacy officers, records management professionals, implementation teams, and healthcare providers across Canada and the US. You will learn how to use practical pro-active privacy in your practice. Privacy Education program that is actually fun and . . . practical! Jean has helped hundreds of physicians, chiropractors, pharmacists, and other healthcare providers and privacy officers develop and improve their Privacy Education programs. You know your practice better than anybody else. If you had the right tips, tools, templates, training and Your Practical Privacy Coach to help you, you can develop a practical Privacy Education program for your office, improve patient satisfaction, meet legislated and college requirements, and prevent big fines (or worse!). Practice managers working in healthcare want to provide good services and have a profitable business. They have a sense of what they need to do to get there – but often need help with networking and resources. Jean shares templates, user guides, real-life examples, networking, practical resources and mentoring. 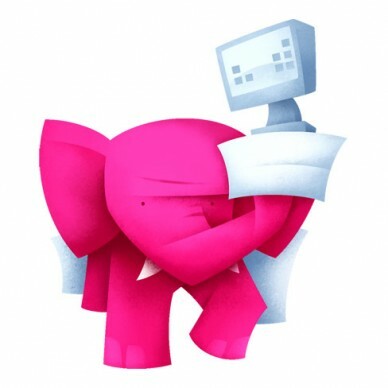 We give you the confidence to take care of the elephant in the room! Jean Eaton has worked in health records and primary care organizations for over twenty years, and is an experienced leader in health information management. She understands that practice managers working in healthcare want to provide quality services and have a profitable business… and is committed to helping practices with the networking and resources to get where they want to be. Contact Jean to provide workshops and key-note address at your next event! Available in person and techno-magically using webinars and live streaming. Hiring Employees Resource Package – includes templates, training, expert guest interviews – everything you need to prepare to hire. We're here to help and we'd love to connect! Email us. Tweet with us! Connect on LinkedIn. Like us on Facebook. It's the elephant in the room: your practice depends on your record management, and the privacy and protection of all kinds of confidential information. But sometimes taking care of this elephant can be a challenge. We're here to help. Information Managers specializes in health information management, policies & procedures, records management, clinic management, practice efficiency and workflow consultation as well as privacy and security in the Health Care sector. We give you the confidence to take care of the elephant in the room. We work with office managers, primary care facilities, health service providers and vendors. We ensure that your office practice not only meet legal requirements, but are streamlined and efficient, making sure that all parties involved feel secure about their personal information. Jean is a Certified Health Information Management Professional, Toastmaster and entrepreneur with a BA Administration. Jean is an engaging workshop leader and provides practical advice that is actually fun and . . .practical. An experienced leader in health information management and privacy legislation, Jean is passionate about supporting primary care practices to implement privacy by design / best practices to protect privacy, confidentiality, security of personal information. She has addressed Canadian and US audiences by teleseminar, webinar, and live conferences and workshops. Jean has helped hundreds of physicians, chiropractors, pharmacists, and other healthcare providers and privacy officers develop and improve their Privacy Education programs. Having worked with health records and primary care organizations for over twenty years, I am an experienced leader in health information management. In the last 7 years my practice has been focused on primary care in Alberta. My consulting service includes physicians, pharmacies, chiropractors and other primary health care providers and Primary Care Networks (PCN). I have speaking engagements with larger clinics and agencies, professional associations, and university and college training programs for health service providers and administration service providers. I author Privacy Nuggets, post regular blogs on the Information Managers site, and am a guest contributor to other publications. I am constructively obsessive about privacy and security when it comes to the handling of personal information, particularly in primary health care settings. I provide webinars, workshops, and consultation on practice management and privacy legislation that are actually fun and . . . . practical. 2014 September 16-19 Alberta Association of Clinic Managers (AACM) Annual General Meeting, Canmore, AB. 2014 Practice Management Nuggets’© webinar series. Weekly interviews with practice managers, healthcare providers, or trusted vendors who support healthcare practices. 2011 May Canadian Health Information Management Association, “Proactive Approach to Privacy, Confidentiality, and Security”, CHIMA CPE Webinar. All of our recommendations for vendors and service providers are our opinions based on direct experience and communication with colleagues. We do not accept fees from vendors for recommendation of their products or services. I am looking forward to present “Privacy Risks and Kids” at the 2013 Alberta School Councils' of Alberta Conference April 27. Child identity theft can happen to any child. How does this happen? What can you do to prevent it? In a fun and informative format, I will share with you some practical tips on how parents can protect their children's valuable information.